Start learning instantly! Everything runs from your web browser, with nothing to install. 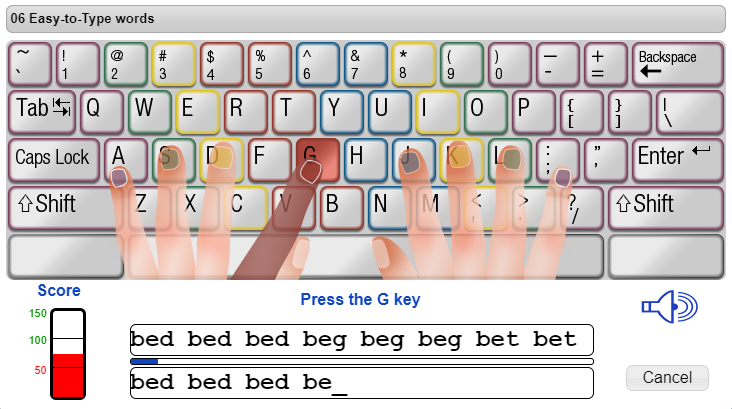 Kids have fun while they learn by playing our typing games or choosing from over 2500 unique exercises. Kids learn at their level, whether they are beginners or already have some skill. Track each child's progress with detailed reports and graphs. Sign up for a 28 day free trial account. If you cancel during the trial, there are no charges. Sign up for a second account if needed. Each account is billed and managed separately. Cancel anytime. There is no minimum subscription length. Supports beginning typists as well as those who already have some skill and want to improve. Choose between different coaches, themes, and sound effects. Numerous options are available to customize the course to match each child's goals, age level, skill level, and specific needs. Includes special features for children with special needs. 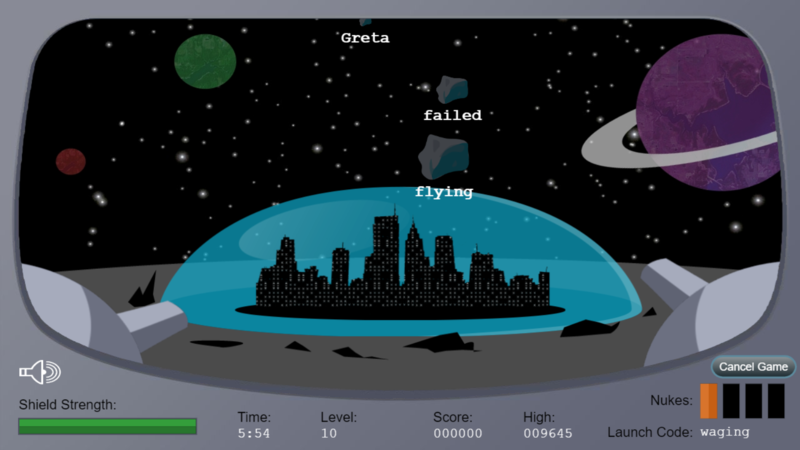 Meteor Storm: Save your space colony from a meteor shower. Type the words next to the meteors to destroy them with your laser before they impact your shield. Typing Racer: Your typing speed determines how fast your vehicle moves along the race track. Compete against human opponents or challenge the computer in single-player mode. Goalie: A fast-paced soccer game. Type the words next to the balls to kick them away and prevent them from getting into your goal. Trivia Challenge: A trivia game with a twist. 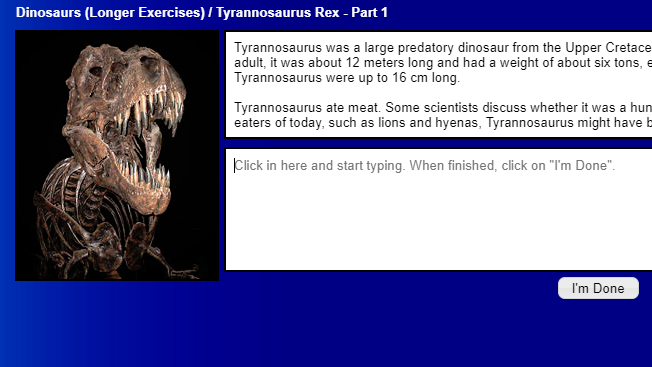 Earn points by getting the correct answer AND typing with speed and accuracy. Thousands of questions are included. Track your childrens' speed over time. Review activities completed and time spent on the web site.